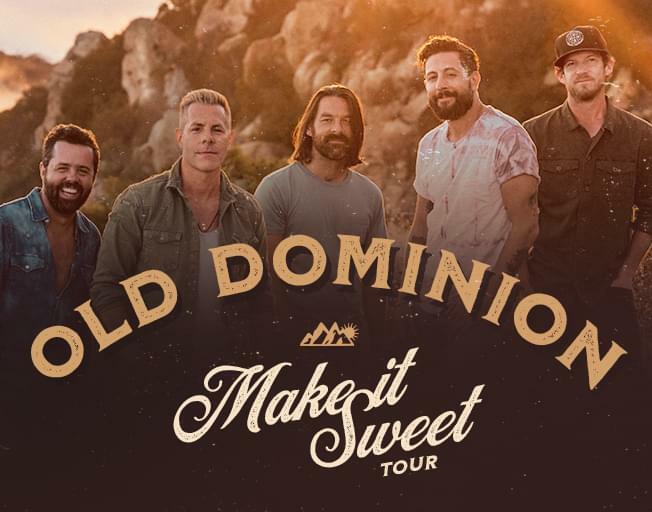 Old Dominion is bringing their “Make It Sweet Tour” to Bloomington on Sunday, April 14th, and B104 has more chances for you to win tickets to the show! Old Dominion is bringing their friends Jordan Davis and Morgan Evans to Grossinger Motors Arena for the party and all you have to do is listen for Faith & Hunter to open the Mounce Automotive B104 Ticket Window at 7:30 for your chance to win. Caller 9 at 821-1041 wins a pair of tickets to the show! With Mounce Automotive, and Bloomington-Normal’s #1 Country, B104!